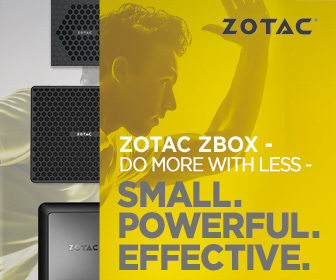 ADATA Technology Co., Ltd., a world leading memory brand, is proud to present the ED600 external hard drive enclosure, which offers users the convenience of portable external storage coupled with the speed and performance of solid state drives (SSDs). The ED600 is compatible with HDDs as well as SSDs, and can reach transfer speeds of up to 5Gb/s through its USB3.1 interface. Not only is the ED600 strong and stylish, it is also extremely user-friendly; simply plug it in and wait three seconds for the installation to complete itself, without any need for extra procedures or tools. The design of the ED600 is based on ease of use. Installing the device requires only three simple steps, which can be completed in three seconds by users, even if they are unfamiliar with computer hardware. The ED600 supports 7mm and 9.5mm thick 2.5-inch SATA HDDs and SSDs, and is compatible with both Windows and MacOS. It can be used with desktops, notebooks, and even game consoles. Furthermore, the safety lock on the ED600 prevents the drive from coming loose due to movement or impacts, which gives its users greater peace of mind. With its rugged black outer casing and aluminum logo plate, the ED600 gives off a sense of style and security, which is backed up by its IP54 protection against dust and moisture. This means that users do not have to worry about losing their data due to water or foreign particles finding their way into their storage drive, which vastly expands the range of environments the ED600 can be used in. Furthermore, the ED600 has outstanding shock resistance capabilities, with an impact-resistant silicone layer inside its sturdy external covering, which enables it to survive drops of up to 100cm unscathed. This means that users can rest assured that their data is well protected against accidental damage or loss.